We made it! One full year of weekly kindness challenges. Thank you all for playing along with me. I hope that while I was busy raising my own awareness of opportunities to be kind, I helped to raise yours as well. 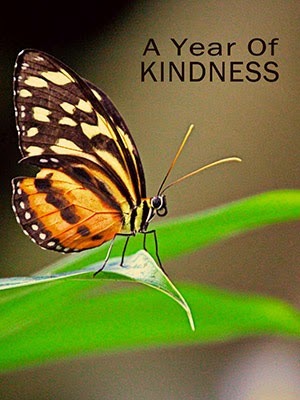 SET AN INTENTION TO CONTINUE YOUR KINDNESS PRACTICE. I've really enjoyed following along with this,Cheri....I'll certainly try and continue. Thanks for your challenges this year Cheri - they definitely kept kindness in my thoughts & made me more aware of opportunities to be kind. A terrific reminder. We still haven't made a year-end donation. But certainly plan to. And we did volunteer our time this last Sunday. I love that phrase of yours 'ripples of kindness' ... and yours has surely not just been rippling, but making waves across the world :).